Remember your last vacation? We’ve all had a time when we learned the value of travel tote bags. Besides investing in good luggage, there’s something to be said about the ensemble of travel tote bags. After all, it’s the carry-all for all of your essentials. You can put everything you need on hand into one spacious bag for easy access. We’re talking about your iPhone, wallet, headphones, tablet, charger, makeup, passport, book, toiletry bag - and don’t forget the snacks! Just grab it and go. Traveling has never been easier. 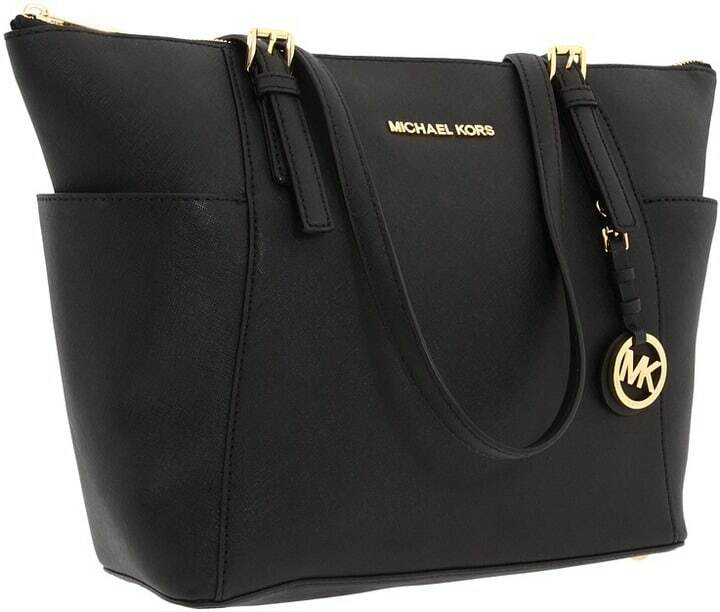 Standard totes tend to have one thick strap or two medium-sized straps and a main compartment. While that’s certainly fine for your day-to-day use, travel totes offer more space and organization. Nothing is worse than digging around for your passport in an airport line. Avoid the hassle with a bag that makes sense for you. When we’re on the go, we need a little bit more out of our travel tote bags. And these options provide just that. Knowing your budget will be key to finding the top travel tote bags. Whether you are looking for a small or large one, knowing your budget will help narrow down your options. There are items on this list that are below $50 and products that are above $100. Don't try to use travel tote bags for a long trip. This might sounds silly to some but believe it or not, people have tried it. And failed. You can definitely fit all the accessories, toiletries, and convenience items into the bags we chose though. Ladies, here you go. We’ve chosen the best travel tote bags on the market for your accessorizing and organizational needs. These bags go beyond fashion. They’re practical too. We have a feeling you’re going to love them just as much as we do. 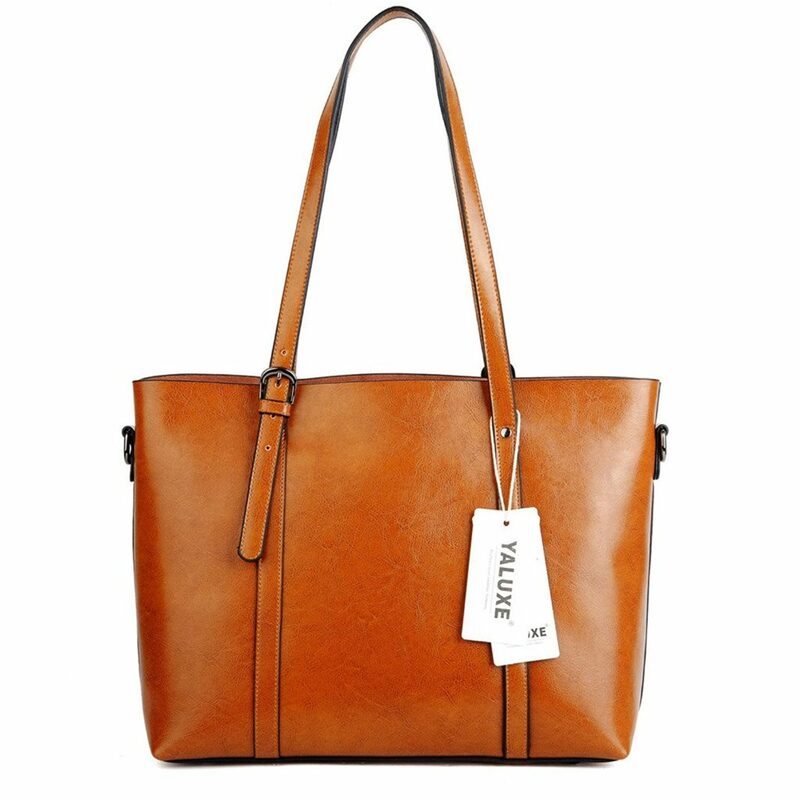 We’re in love with this chic large shopping tote from Briggs & Riley. It has an amazing amount of space. 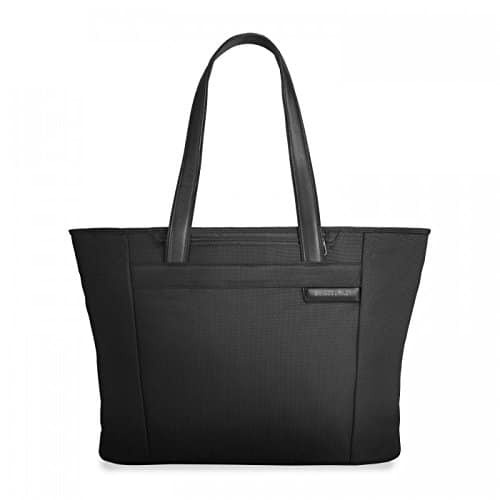 This large shopping tote’s exterior is crafted from ballistic nylon, providing the ultimate in durability. Comfortable and luxurious leather shoulder straps make this one easy carry-on. The strong ballistic nylon outer fabric resists wear, water, dirt and abrasion. In addition, a dual purpose slip-through back pocket allows the bag to slide over any luggage handle for easy transport. The front pocket has a magnetic closure which provides quick access to items. A speed-thru pocket offers quick storage of items at security checks. Lastly, the roomy main compartment allows the tote to be easily packed and organized. A zipper pocket and 2 elastic pockets organize smaller items like ties and scarves. 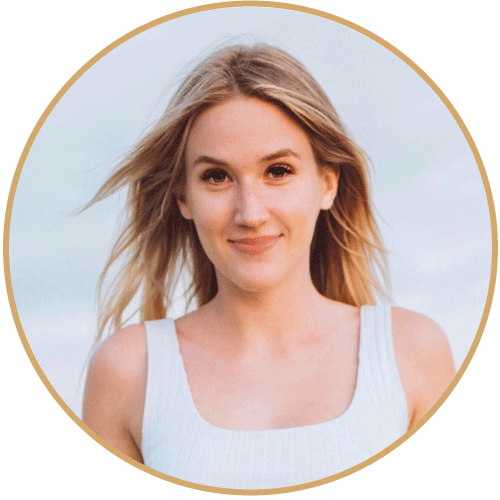 You’ll also find a snap-in, removable waterproof pocket, perfect for toiletries, makeup, as well as a waterproof water bottle pocket. Add this tote to your summer weekend packing list. Have you seen a more classy looking bag? 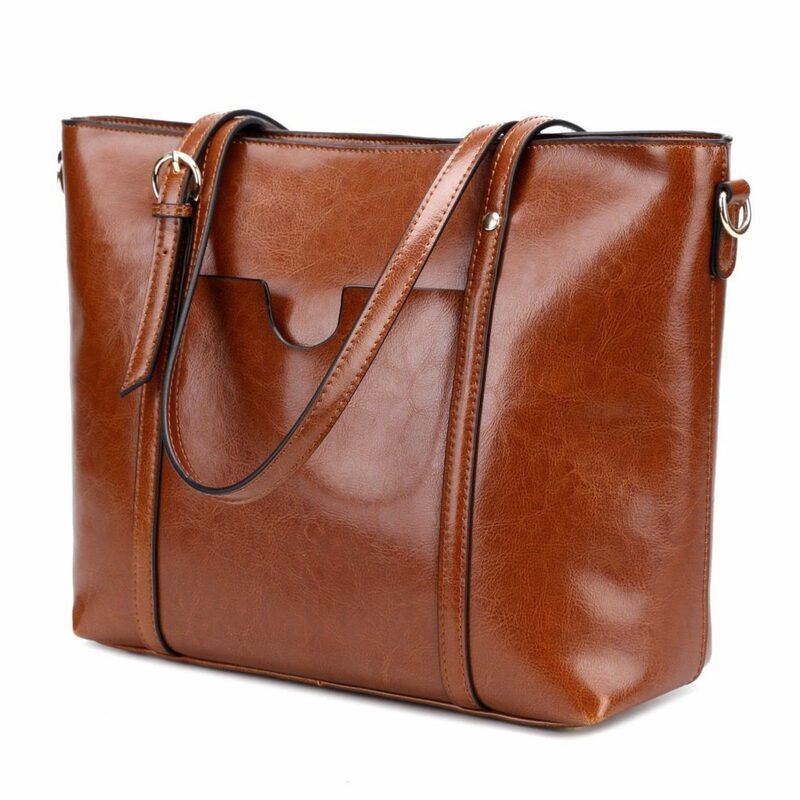 We’ve got to say, the Yaluxe Vintage Style is one of the best travel tote bags for women. It doesn’t even look like a travel bag; take it anywhere - from the streets to the airport and everything in between. This style was made for wearing. You can select some fresh and light-colored dresses or clothes to pair with this bag for the ultimate chic look. With this said, we appreciate that it’s not all about fashion. This bag was designed for function too. Just look at the capacity and you’ll see that. You can bring your makeup, notebook, a book, cell phone, umbrella, 13” laptop, snacks, and more inside. The front pocket offers the perfect place to stow your phone and keys. With a durable shoulder strap, the bag can withstand even a heavy amount of weight. 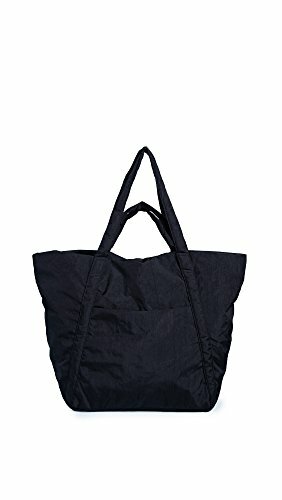 This is absolutely a much more excellent quality bag than other bags in same style and same price on Amazon. Split leather with gunmetal hardware, sturdy double stitching and reinforced handle for durability. Zipper top closure. This bag can hold 13" thin laptop whose size under 12.99"(length) x 9.1"(width), wallets, books and lots of things. One Front Pocket for quick access. The inside has 2 main compartments with a center zippered piece, 2 open pockets and a zipped pocket. Handle drop is 11.61", comfortable to wear on your shoulder. Durable and roomy for everyday use. Also come with a long shoulder strap(51.37" in length) for more carrying options: Handheld/ Single Shoulder/ Crossbody. Dimensions: 13.97"L x 4.72"W x 11.41"H .The Weight is 2.49 pounds. This is one of the cutest travel tote bags we’ve seen in a long time. It's perfect for a quick getaway. If you’re looking for a casual bag you can throw over your shoulder, the BAGGU Travel Cloud Bag offers just the thing. Made from a durable nylon material, it’s not easily prone to snags or tears. 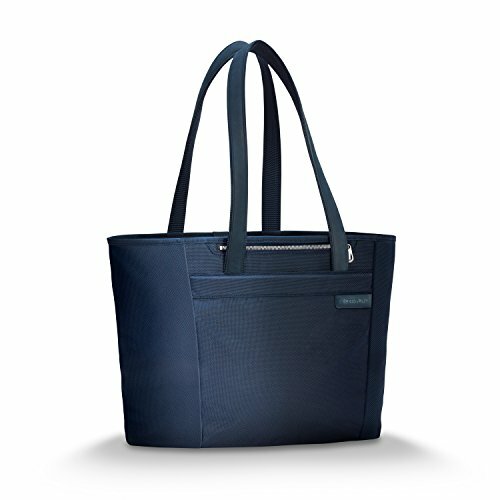 While it doesn’t offer the stiff body of a standard tote, it’s the perfect bag to take for a day trip or to the beach. 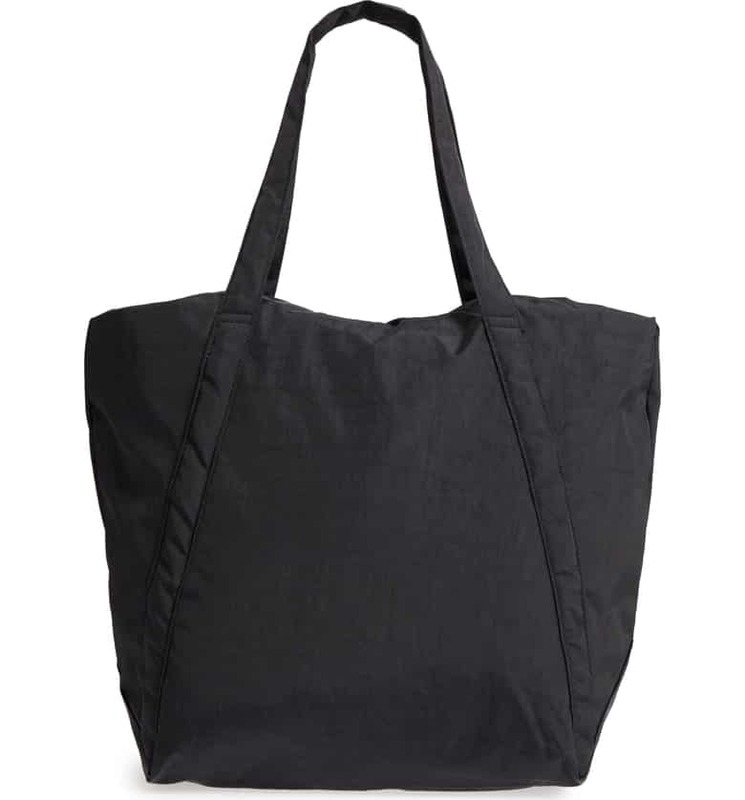 BAGGU always knows how to make good quality products. We’re sold. We bet you could have sworn this was real leather. 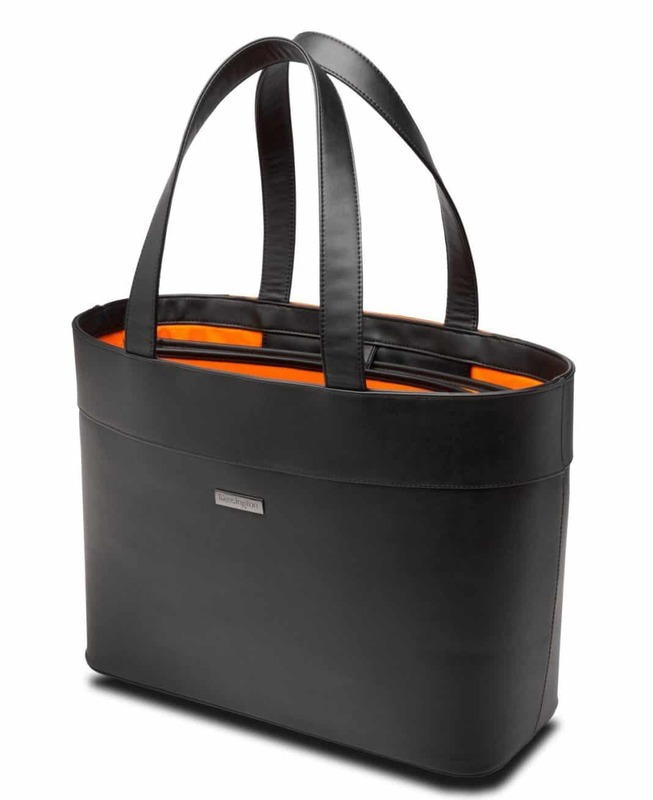 The Jacqueline Laptop & Tablet Tote from Kensington is an ideal pick for the woman on the go. 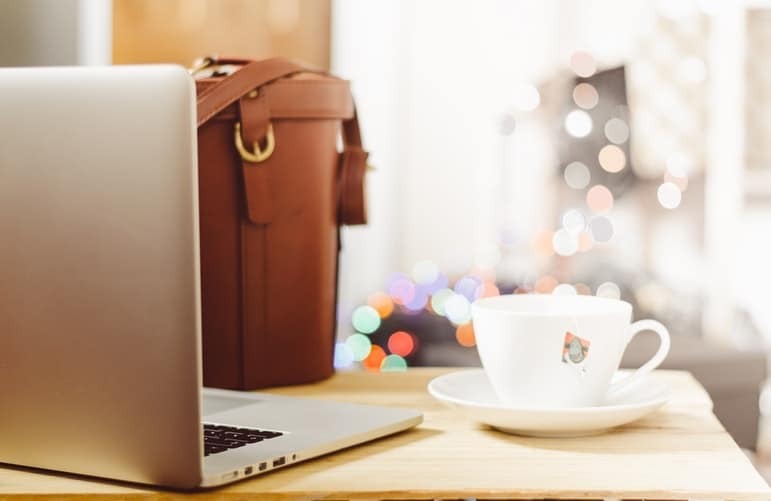 This full-size carry bag is made of dermal faux leather and comfortably holds up to a 15.6-inch laptop in a padded compartment. There are also multiple other pockets to store your personal items including a security pocket for smartphones. A luggage pass-thru strap allows you to securely fasten your tote to retracting handles on rolling luggage. The beautiful center clasp can be utilized to keep your carry items from accidentally falling out, and the dual straps are the perfect length to comfortably fit on your arm while you’re in transit. In the middle interior of the bag, you will find a metal clasp. Fastening it helps to ensure you will arrive at your destination with all your items in the same place as when you left. But that’s not all.Reinforced straps are designed to support the weight of a fully loaded tote and are the ideal length so you fit the bag on either your arm or shoulder. Lastly, a wheeled luggage pass makes traveling with multiple bags so much easier, with a special strap that can be placed over the extended retracting handle of your roller bag to ensure your messenger bag won’t fall off. Frequent flyers, take note. 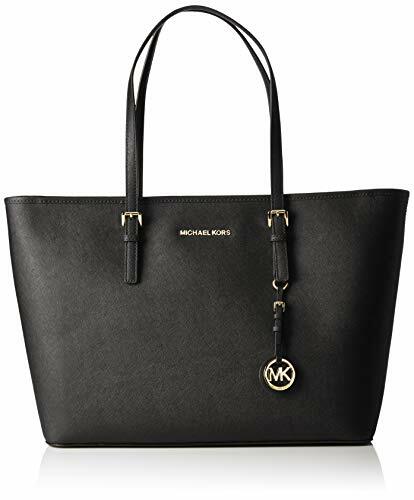 The Jet Set from Michael Kors is the perfect sophisticated, multi-tasking tote . Call it your new travel accomplice. Made from Saffiano—a distinctive and durable matte leather, it offers a stylish yet minimalist look. Several functional pockets keeps you organized, while a top-zip design ensures your items stay put, wherever you may go. 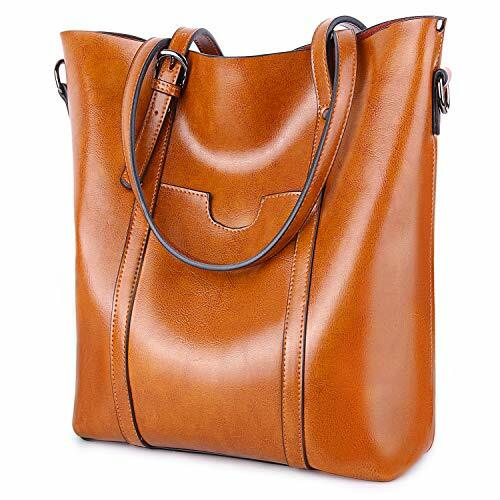 Measures 14 X 9 X 3.5"
Add a stylish look to your outfit with the CLELO women’s leather tote bag. With adjustable double handles and a shoulder strap, the bag is designed to be carried over the shoulder or by hand. Slender and flat handles ensure it’s comfortable to wear on your shoulder and won’t roll off. To reinforce the straps, CLELO uses metal rivets to reinforce the straps. All of the metal hardware in the bag is not only stylish but also designed for durability. When it comes to material, only the highest quality cowhide leather is used. It is tough, but also soft enough not to be uncomfortable to wear or too stiff. Looking at the exterior, it has a premium quality wax polish that gives it a uniquely classy look. It is a perfect match for any outfit and can be used as a shoulder bag, hand bag, or cross body bag. Gorgeous style and Design: This tote bag suits any outfit. 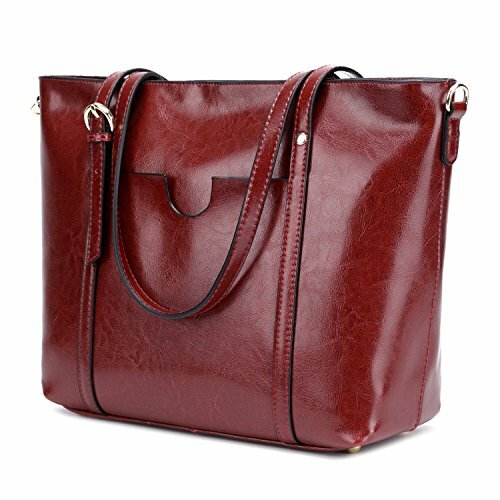 Whether it is casual or formal attire, this handbag will never fail to amaze everyone with its elegant beauty and fashion trend. Comfortable to Wear: The bag is fully adjustable. It works as a shoulder bag, a handbag and a cross over bag as well. You can mix and match it with your day to day fashion outfit and it will definitely blend with your outfit. Never go out of style, you will always have that gorgeous look all the time! Spacious and Roomy: This bag keeps you organized on the go. You can fit in all your daily essentials from wallets, umbrella, iPad, mobile phones, planner, pens, and more. It has 2 main compartments, 1 middle big zipper pocket, 2 small holder pocket for phone and card, 1 small wall zipper pocket. The exterior part also has a zipper pocket on the front side for your keys or coins. We hope you enjoyed reading our article on the best travel tote bags. As you can see, these handy bags come in a variety of styles, materials, and prices. If you’re looking to add a cute accessory to your look and get more organized, we highly suggest picking one up before your next trip.